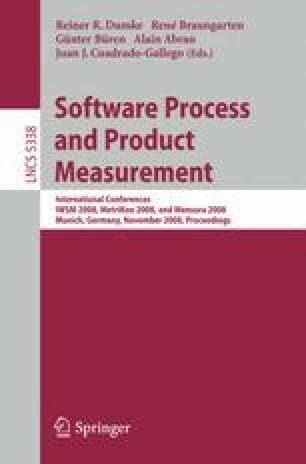 From the late ‘70s on, Albrecht’s Function Point Analysis provided an insightful way to size a software system moving from the elicitation of Functional User Requirement (FUR), making an evaluation more objective than done before using Lines of Code (LOC). This technique has currently a plenty of variants, some of them become international de jure standards (e.g. COSMIC, NESMA, Mark-II and FISMA) - called FSM (Functional Size Measurement) methods - and they are widely adopted worldwide. A common problem when using a FSM for estimation purposes is that the software size (that is a product measure, referring only to its functional side) is used as the solely independent variable to estimate the overall project effort, that includes the effort of both the functional and non-functional activities within the project’s boundary, as currently stressed more and more in the Scope Management field, also in the Software Engineering domain (see NorthernScope and SouthernScope approaches), not knowing neither the approximated distribution between the two parts. This missing information, usually not gathered in projects’ repositories, can be one of the reasons leading to a lower capability in estimating project effort. In 2003, a new technique called PSU (Project Size Unit) come out with the aim to size the ‘project’ entity from a Project Management viewpoint. It can be used alone or jointly with a FSM unit. In the second case, the joint usage of the two values can improve what a FSM cannot measure and therefore estimate, that is the non-functional side of a software project. This paper presents a case study with 33 projects measured both with IFPUG FPA and COSMIC methods as well as with PSU, showing the obtained results using the different sizes for estimating the overall effort, and providing a rationale for the better results with PSU.